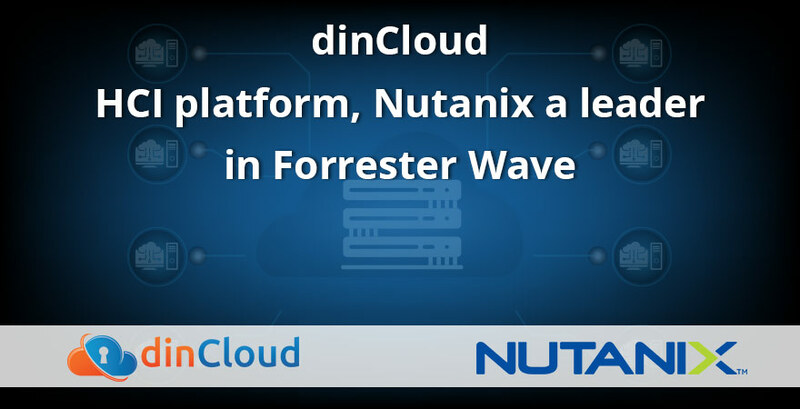 Nutanix announced their position as a leader in the just-released The Forrester Wave™: Hyperconverged Infrastructure report. Nutanix has long been a pioneer in hyper-converged infrastructure and lead the pack against industry powerhouses such as VMWare, HPE and Cisco. dinCloud chose Nutanix as the software for our cloud-hosted software earlier in this year because of the platform’s features surrounding data services and features for data protection, space efficiency, scalability, automated data tiering and security. Our customers and resellers can instantly run the Nutanix Enterprise Cloud OS Software, taking advantage of the the features of the award-winning platform to grow their businesses with the assurance of DaaS performance and reliability that is second to none. Speak with your representative today to see how you can take advantage of Desktop-as-a-Service offerings powered by the award-winning Nutanix platform.